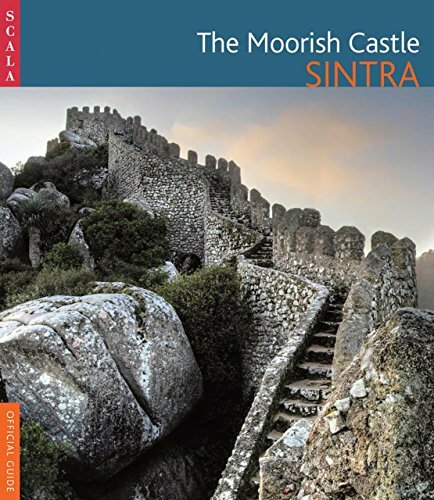 The Moorish Castle is a military fortification that bears witness to the Islamic presence in the region, and was probably constructed between the eighth and ninth centuries and later expanded after the Reconquista. Overlooking the town of Sintra it served as a watchtower, guaranteeing the protection of Lisbon and its surroundings. It was acquired and restored as a medieval ruin, also in keeping with the romantic taste of the period, by King Ferdinand II. The castle has an irregular plan and is composed of a double belt of walls. The internal wall presents a bailey, battlements and the reinforcement provided by five fortified towers. Inside, the cistern, fed by rainwater, and the Royal Tower are among the most interesting features. From the top of the walls, it is possible to view a unique landscape that is composed of the town of Sintra in the foreground and extends as far as the Atlantic Ocean, allowing views along the coastline to Praia das Macas and Ericeira and also Mafra and the hills of Sintra, dotted with beautiful homesteads, romantic chalets and magnificent palaces.